CAMAS-WASHOUGAL — The Camas-Washougal Community Chest (CWCC) launched its fundraising drive Oct. 1 with a goal of raising $100,000 for the 2019 campaign. The money raised is used to fund grants to local nonprofit organizations that serve Camas and Washougal residents in need, at-risk youth programs and address natural resource conservation and education. Since 1946, the Community Chest has been all about local people helping local people. The CWCC just wrapped up a successful 2018 campaign which saw it fund 23 grants for a total of $83,350. Programs and projects funded in 2018 included support of the local food bank run by Inter-Faith Treasure House, funding for the family support programs run by the East County Family Resource Center in Washougal, tree plantings and invasive plant removal in the Steigerwald Lake National Wildlife Refuge, Camas and Washougal Principal’s checkbook to help students in need, and funding for food and food service supplies for the local Meals on Wheels program. Other grants provided funding for staff and supplies for REACH’s self-sufficiency classes and workshops, for Camas and Washougal Public Library’s summer reading programs and for temporarily housing at-risk youth in a secure facility. Major support for the 2018 fundraising campaign came from Georgia Pacific employees and the Georgia Pacific Foundation. Other major donors in 2018 included HP employees and the HP Corporation, Camas School District employees, City of Camas employees, Port of Camas-Washougal employees, 54 ͦ 40ˈ Brewing, Exterior Wood and Waste Connections. The following foundations also provided major support: Windermere Foundation, L. R. Mitchner Philanthropic Fund and the Fontenette Family Charitable Fund. To reach its $100,000 goal for the 2019 campaign, the CWCC needs donations from individuals and businesses in Camas and Washougal. More information and donation forms can be found on the CWCC’s website at: www.CamasWashougalCommunityChest.org. Individuals and businesses can also donate by participating in Fred Meyer’s Community Rewards program and Amazon’s Smile program. Details and electronic links to the two community support programs can be found at the Website listed above. Local nonprofit organizations planning to apply for a grant can download the 2019 application form from CWCC’s website after Oct. 15, 2018. Applications for 2019 grants are due by no later than Dec. 15, 2018. Applicants will be informed during March 2019 as to whether or not their project or program is funded and at what level. Grant payments are made quarterly beginning with initial payments in March 2019. To be eligible for a grant, applicants must provide services in Camas and/or Washougal, be a 501(c)(3) non-profit organization and provide service in one or more of the following areas: education, youth activities, aid to people with special needs, natural resource conservation, health and welfare programs and crisis and emergency services. Inter-Faith Treasure House: Helps fund emergency and daily food needs, school backpack program, emergency rent and utility assistance, school supplies and person-in-crisis outreach activities. Children’s Home Society: East County Family Resource Center Helps fund family educator/case manager position. Helps fund parent education groups, youth support groups, emergency basic assistance, behavioral health services and health care services. Partners with Camas Parks and Recreation: Helps buy Camtown Youth Festivals’ arts and crafts supplies. Camas School District Principal’s Checkbook: Helps Camas school principals provide for basic student needs to give these students equal opportunities at school. Washougal School District Principal’s Checkbook: Helps Washougal school principals provide for basic student needs to give these students equal opportunities at school. Janus Youth Programs: Provides funding for facility stays for Camas and Washougal runaway youth at risk for abuse and neglect. Re-introduces kids to safe housing. Lower Columbia Estuary Partnership: Provides classroom lessons and outdoor applied learning programs for youth, including habitat enhancement projects adjacent to Gibbons Creek in the Steigerwald Lake National Wildlife Refuge. Meals on Wheels: Purchases food and food service supplies for Camas and Washougal Meals on Wheels program. Friends and Foundation of the Camas Library: Supports the Camas Library’s summer reading program for kids and teens. Fort Vancouver Regional Library Washougal Branch: Supports the Washougal Library’s summer reading program for kids and teens. Lifeline Connections: Helps women secure safe and appropriate housing after completing a six-month residential treatment program for substance use disorders. Friends of the Columbia Gorge: Helps fund the Explore the Gorge classroom lessons and outdoor environmental education program for sixth graders in Jemtegaard and Canyon Creek Middle schools in Washougal School District. REACH Community Development: Funds staff, administrative and supply costs to provide classes, workshops and meetings for residents of Gateway Gardens in Washougal to build their financial self-sufficiency. Camas Farmers Market: Helps implement “Produce Pals”, a weekly activities program to educate children about where and how food is produced. Kids completing weekly program receive a $2 token to spend at Camas Farmers Market – grant will buy tokens. 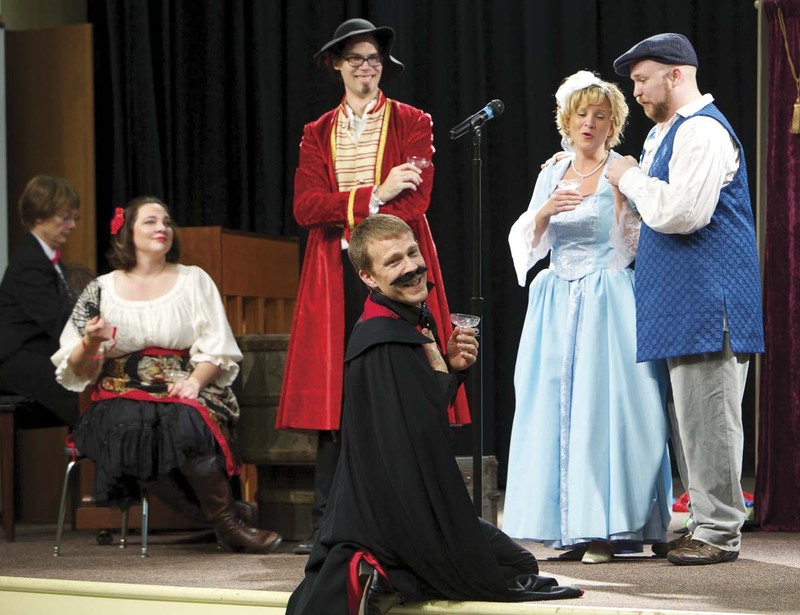 Opera Quest Northwest: Helps to educate, enrich and instill a love of music in children by introducing them to opera through a lively production that blend classic opera excerpts with a humorous, interactive script. Pathways Pregnancy Clinic: Helps buy ultrasound supplies, pregnancy test kits and pregnancy test controls and purchases an adjustable ultrasound exam table to replace an old non-adjustable table. 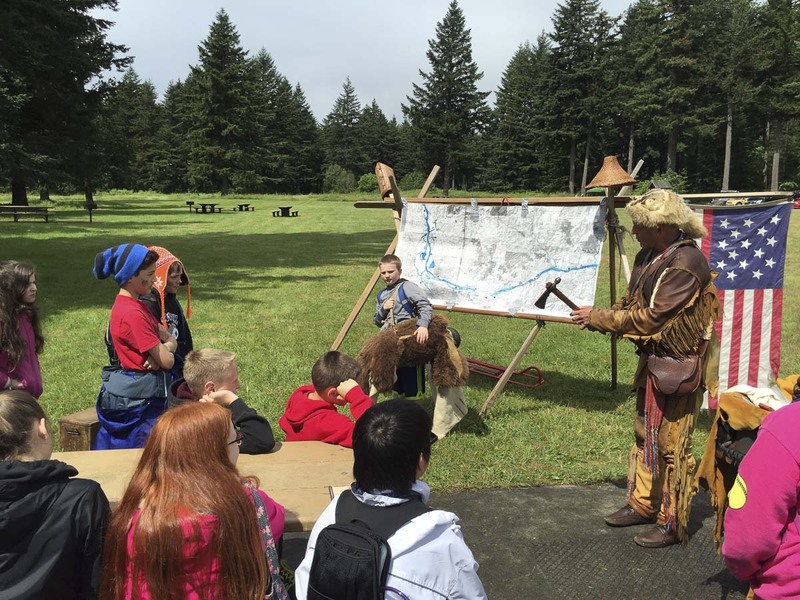 Camas-Washougal Historical Society: Helps build The Gathering Place at Washuxwal, an open air pavilion next to the Two Rivers Heritage Museum. The exhibits in the pavilion will educate visitors about Native American heritage in the Camas and Washougal area. Evergreen Habitat for Humanity: Helps buy materials for A Brush with Kindness residential fix-up projects in the Camas and Washougal area. General Federation of Women’s Clubs: Helps buy age appropriate books, backpacks and other learning tools for a Reach for the Stars with Books program at Hathaway Elementary School. Program aimed at youth from birth through age 5 to grow their school readiness skills and strengthen their social interaction skills. Journey Theater Arts Group: Helps cover a portion of the rental fee to put on a production of Fiddler on the Roof at the Washburn Performing Arts Center in Washougal May 18–27, 2018. TreeSong Nature Awareness and Retreat Center: Helps cover event costs and buys supplies for Run Wild! Nature Adventures Family Fun Day at Fallen Leaf Lake Park in Camas. Run Wild! is a participatory event that immerses attendees in the beauty of nature through nature education, physical activity, storytelling, art, music, and theater. J. D. Currie Youth Camp: Helps cover a portion of the preliminary engineering costs to construct an indoor restroom connected to water and sewer lines to replace four outdoor vaulted unplumbed latrines. Boy Scouts of America Camas/Washougal Troops: Helps fund Campership Awards so that families in need can send their scouts to summer camp.